In 2013 Mohamed was promoted to position of Regional Branch Operations Manager (Business Operations and Controls), the position he held until when he left to join Creditinfo. He was responsible for portfolio of 12 branches of Lake Zone with more than 100 team members. 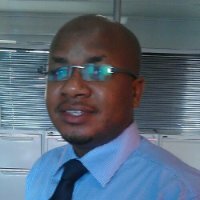 Mohamed graduated with Advanced Diploma in Business Administration (ADBA) 2010, and Post Graduate Diploma in Financial Management (PGD -FM) 2012, from the College of Business Education (CBE).Also, he pursued Msc.in Marketing management from Mzumbe University 2014.